JGBowers, Inc. and Advanced Cabinet Systems Develops New Mission Statement | JG Bowers, Inc.
Marion, Indiana—JGBowers, Inc. a General Contracting firm that specializes in commercial construction, and Advanced Cabinet Systems, a JGBowers, Inc. subsidiary that manufactures plastic laminate casework and retail store fixtures, have developed a new company mission statement. Phil Bowers, President of JGBowers, Inc. and Advanced Cabinet Systems, worked closely with Whitney Bowers Christopher, Vice President of Compliance and Administration, to develop the new company core values. 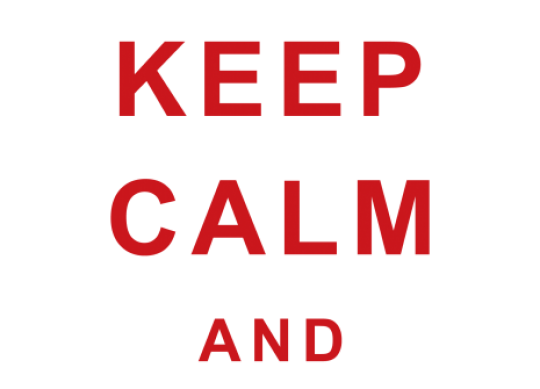 ACS has coined the term "Keep Calm and Change the Game," a play off of the famous British "Keep Calm and Carry On" campaign from World War II. The term was used as a guideline to create the new mission statement. The statement starts with the keep calm phrase and continues with the phrase "Consistently looking for better ways to advance our industry." It was developed to empower employees and inspire different ways of thinking. "We wrote the mission statement to clearly define our company's goals, standards, and expectations. 'The facts' are what we, and every employee here, will strive to live up to every day," said Whitney Bowers Christopher. The statement includes ten facts, each with a description. "I'm excited to have this in writing. Our mission statement truly reflects our company, our desire to change the game, and the method to achieve it," added Phil Bowers. JGBowers, Inc. is located in Marion, Indiana and has been a General Contracting firm since 1981. Their services include General Contracting Services, Design Build Services, and Construction and Maintenance Services. JGBowers, Inc. specializes in build outs, educational, franchise, industrial, medical, and restaurant construction. JGBowers, Inc. is a proud supporter of the Grant County Economic Growth Council. For more information about JGBowers, Inc., please visit www.jgbowers.com, contact Marc Dunker at (765) 677-8000, or email him at mdunker@jgbowers.com.